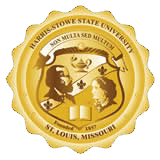 Harris-Stowe State University's primary mission, as set forth in Senate Bill 153, is to address the higher education needs of the metropolitan St. Louis region. Toward the fulfillment of this mandate, the University offers a solid General Education curriculum, which serves as the foundation for the University's various baccalaureate* programs in three broad professional areas, including baccalaureate degree programs in business, education, and arts and sciences. In addition, the University is thoroughly committed to meeting to the greatest extent possible the needs of a student population that is diverse in age, culture, ethnicity and experiential backgrounds. In short, Harris-Stowe State University is strongly committed to providing a high-quality higher education experience that is both affordable and accessible to the diverse populations within and beyond the metropolitan St. Louis region. The University seeks to accomplish this overarching goal through an extensive academic support program, a college-preparatory academy for urban youth, supervision of student progress and through many community outreach and collaborative partnerships with businesses, government and educational institutions. Underlying this commitment to a high-quality education is the University's emphasis on professional growth and personal development that is essential for an educated person entering a professional field. Recruiting a diverse population of interested and qualified students, faculty and staff. Supporting student development through academic support services, extracurricular activities, student government, cultural and community involvement, professional organizations and honor societies. Enhancing the quality and effectiveness of the student's learning environment through a variety of innovative and creative instructional techniques and delivery systems involving modern technology and through day, evening and Saturday courses, which accommodate the students' varying educational and scheduling needs. Offering a broad and solid general education curriculum that serves as the foundation for professional studies and lifelong learning while accommodating transfer students. Offering educational experiences that emphasize excellence in all areas and promote the development of effective communication skills, interpersonal growth, critical thinking, workplace readiness and an understanding of and appreciation for diversity. Participating in educational and collaborative partnerships and outreach programs with business, government and other educational institutions, including K-12 and higher education. Providing a diverse range of cultural and educational services to the urban community, including in-service educational opportunities for professional growth and development of teachers, educators and other professionals. Conducting ongoing institutional assessment and modifying institutional operations, accordingly. *Missouri Senate Bill 334, enacted in July 2015, broadens the University's mission to include graduate program offerings.